Medical Historian, pre/post NHS health care and hospitals - specialising in the history of maternity care. Current research focuses on the role of World War Two in shaping the birth experience of women via evacuation and increased hospitalisation. 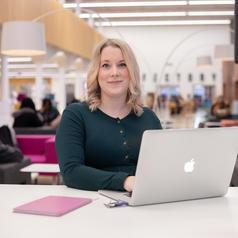 Second year PhD candidate, awarded the Vice Chancellor’s Studentship at Nottingham Trent University. Graduated from History Masters at NTU in 2017 with Distinction. Also a mother of three, expecting number four in Spring 2019.